There are so many possibilities with this life-sized severed hand decoration. 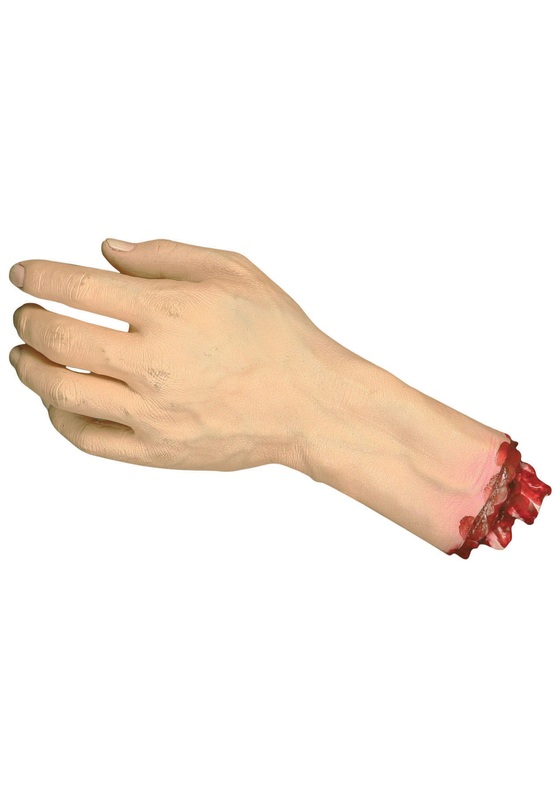 Use it during a handshake and leave your guest holding the severed hand! Place it on a silver platter amidst your hors d'oeuvres. Casually leave it next to your soup pot to stir speculation about the origin of your main course's mystery meat. Set it on your bathtub, just behind a semi-transparent shower curtain, to really ruin someone's solitude on the ivory throne. When the party seems to be falling to a lull, from your front yard run into your home, holding it high and proud, and cryptically yell, "It's over! I finished it!" Set it carefully in between your couch cushions, so it tickles the backside of the first unsuspecting guest to stop dancing. You see? The possibilities are only as limited as your imagination. Just don't ask us where we got so many of these.